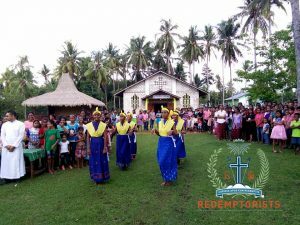 The Redemptorists of Asia - Oceania are active year-round preaching the Good News of our Redeemer. Click to view our current events. Mission in Wikit, Homba Karipit, Sumba, Indonesia. Mission in Wikit, Homba Karipit, Sumba, Indonesia. The mission will run from 19 November 2017 till 4 February 2018.